When Coronado residents want high quality iron work services at competitive prices, they trust B.A. Ramirez & Sons Ornamental Iron Works, Inc.. 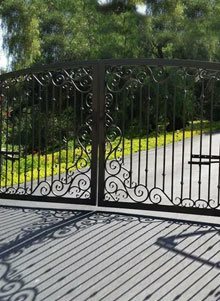 In business since 1980, we are a highly experienced iron fence company and offer those in Coronado custom ornamental and wrought iron gates, fences, doors, window guards/security bars, and railings. In addition, we offer cost-effective repair and replacement services for iron fences, gates, and railings. Our ironwork is available for both residential and commercial projects, and we always comply with applicable municipal building codes, ADA standards, and homeowner CC&Rs. 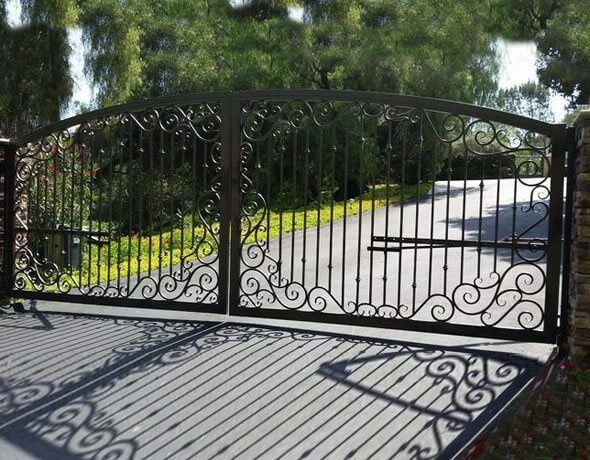 As a testament to the quality of our iron work and level of customer service, we have earned thousands of satisfied clients in Coronado and the larger San Diego County area. At B.A. Ramirez & Sons Ornamental Iron Works, Inc., our beautifully crafted, expertly installed iron fences, balcony guardrails, handrails, staircase railings, gates, enclosures, doors, and window bars can be customized to suit your preferred budget and aesthetic tastes, ranging from the highly ornate to the primarily functional. Our ironwork can be made from tubular or solid steel; cast or hand-forged elements (such as baskets, knuckles, collars, spear tops, and scrollwork); powder coat or custom epoxy liquid finishes; metallized or galvanized rust-resistant treatments; and more. We can even combine ironwork with other metals, such as copper backings for a patina effect, or wood, either as a mounting base or privacy pickets. 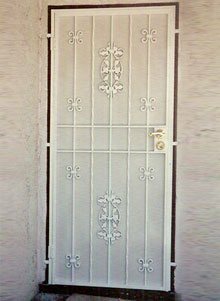 Additionally, our iron gates can be installed along with hardware, such as latches, deadbolts, levers, knobs, and automated access controls. 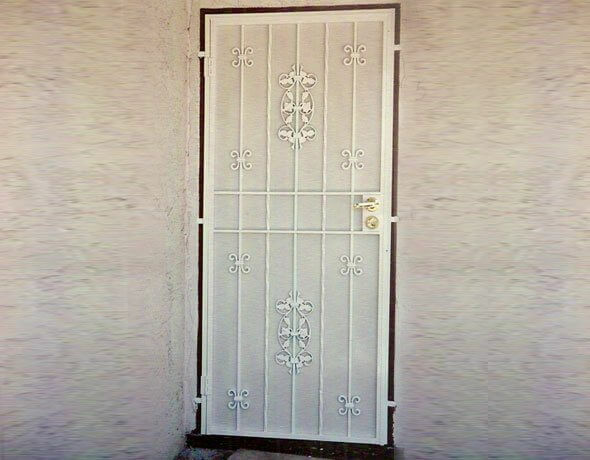 With our range of customizations, our ironwork is sure to meet your functional needs and complement the interiors and/or exteriors of your Coronado home or business. Call B.A. Ramirez & Sons Ornamental Iron Works, Inc. today and set up a free consultation. We are fully licensed, bonded, and insured. All of our Coronado iron fences, gates, doors, window guards, and railings are backed by excellent written warranties. B.A. 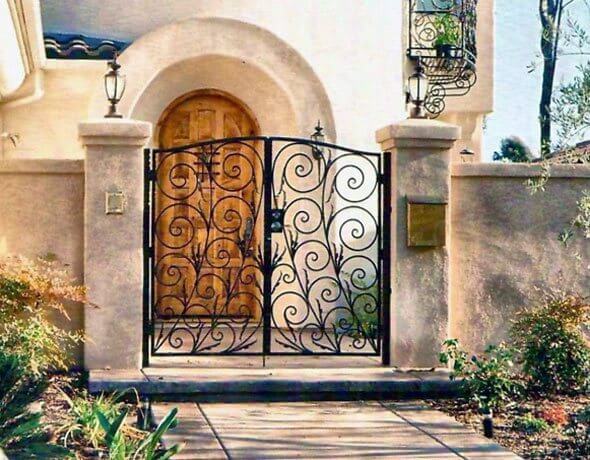 Ramirez & Sons Ornamental Iron Works, Inc. has been providing Coronado homeowners and residential communities with beautiful, functional, and affordable ironwork since 1980. Our custom ironwork has included hand-forged iron fences, gates, staircase railings, guardrails, handrails, doors, enclosures, and window bars/guards. All of our pieces are designed, fabricated, and installed by our ironwork experts to ensure that we meet our client's high expectations. To get started with your residential ironwork project, give us a call. During a free consultation, we will go over your individual preferences and budget constraints, discuss your decorative, security, privacy, safety, and/or perimeter-defining goals, and determine the size and scope of your project. As we develop your ideas, we'll review your options and make recommendations to ensure you get the best results for your budget. Call us today and learn more about our residential iron work for Coronado. If you want to enhance your business in Coronado with iron fences, gates, doors, window guards, and/or railings, call B.A. Ramirez & Sons Ornamental Iron Works, Inc.. With decades of experience, fair prices, and nearly limitless design possibilities, we are Coronado's best source of commercial ironwork. We can custom-design and fabricate our wrought iron fences, railings, gates, doors, and window guards to suit almost any budget, as well as any decorative, security, safety, perimeter, and/or privacy need. Over the years, we've helped 1,000s of customers enhance their properties' interiors and exteriors. From iron window bars, screen doors with privacy backings, and enclosures for improved security, to highly ornate balcony and staircase railings, wine cellar doors, and automated driveway gates, we have the skills and knowledge to meet a wide range of Coronado commercial ironwork requests. One of the most common requests that we get from our Coronado customers is for automated/electric gate installation. Our iron gates area ideal for both residential and commercial applications, and can be installed across nearly any space. If you are considering a new or replacement automated gate for your Coronado property, one of our experts will come out and discuss your goals and options. We can construct and install nearly any gate design using our high-quality solid or tubular steel. We have made everything from simple and affordable sliding gates for a small driveway to elegant and lasting biparting swing gates for large estates. To automate these pedestrian and driveway gates, we use the best motors in the industry, such as DoorKing, LiftMaster, and RamSet, as well as brand name security access systems, each individually selected by our clients. By using the industry's best practices, high-quality materials, and expert craftsmanship, our electric gates are made to last. In addition to new installations and complete replacements, we also offer expert automated gate repair services. Call today for a free consultation. B.A. Ramirez & Sons Ornamental Iron Works, Inc. custom designs, fabricates, and installs interior and exterior iron railings, including balcony guardrails and staircase railings and handrails, for Coronado customers. 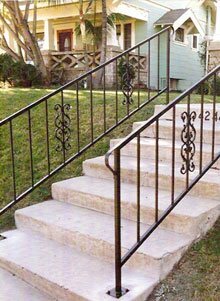 Our iron railings can be built around traditional, spiral, and rounded staircases, balconies of any size or shape, and along walkways and inclines. 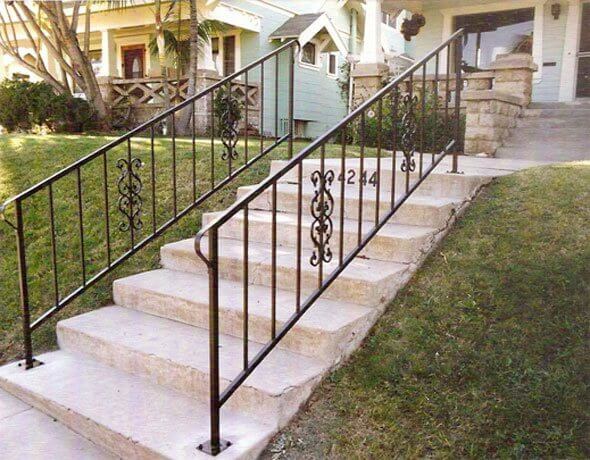 Handrails are constructed to conform to ADA requirements, and all railings are built to code. 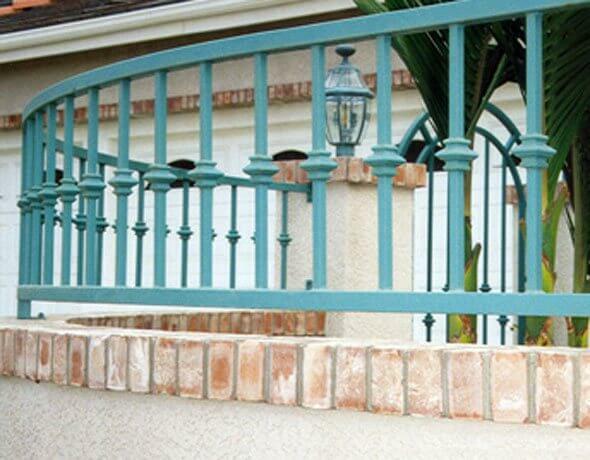 Our railings will beautifully enhance the look of your Coronado home or business, and be made to last. We work with solid and tubular iron, and offer decorative picket-type balusters, crown caps, hand-forged scrolls that flow throughout the rails, standard and custom colors, and many other customizations, all of which can be tailored to your individual budget. To learn more about our Coronado iron handrails, guardrails, and balcony/staircase railings, call our ironwork experts today. B.A. 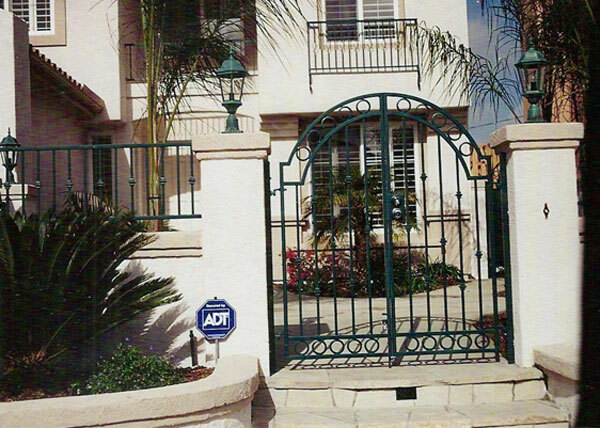 Ramirez & Sons Ornamental Iron Works, Inc. can custom-build the perfect iron gate for your Coronado home or business. 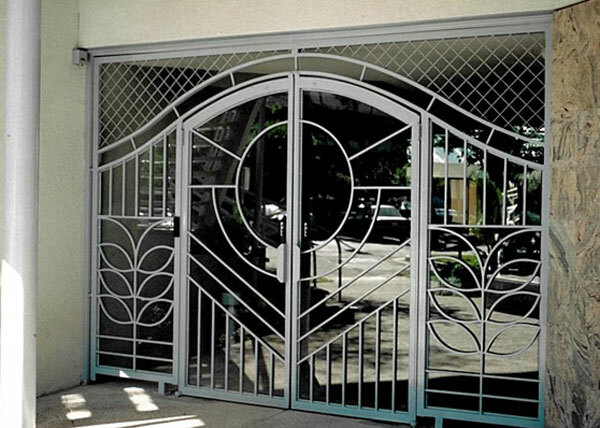 Whether you would like a beautifully-designed ornamental iron entry gate or a stylish but effective solid steel security gate, we can help. We offer Coronado customers the ability to replicate a gate they've seen elsewhere or design a unique gate based upon a loose sketch or several photos they've pulled from our website or seen in magazines. Our ironworkers hand-forge our steel gate structures and install them according to the industry's best practices for lasting results. We can add flowing simple to intricate scrollwork, decorative castings (oak leaves, rose leaves, etc. ), and protective finishes. 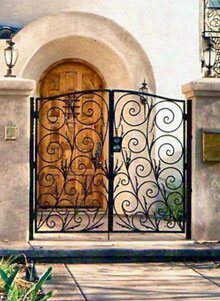 We can combine our ironwork with other metals or wood, and design your Coronado iron gate with motorized openers, key locks, phone entry systems, keypads, key fobs, card readers, and other access control systems. Call today to get started. Rely on B.A. 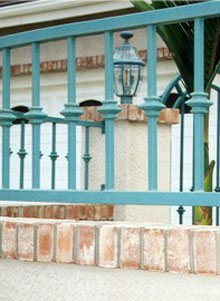 Ramirez & Sons Ornamental Iron Works, Inc. to expertly design and install your residential or commercial iron fence in Coronado. We are experts at fabricating ornamental and wrought iron fences, including iron pool fences, iron wall-mounted fences, iron privacy fences, iron perimeter fences, iron security fences, and iron front-yard fences, for Coronado customers. Durably built and typically coated with a protective finish to resist rust/corrosion, our iron fences are sure to enhance your home or business for years to come. We can work within a specific budget or replicate a top-of-the-line iron fence design that you've seen in a magazine. When you choose B.A. Ramirez & Sons to build and install your iron fence in Coronado, you are certain to be delighted by our quality craftsmanship, affordable prices, honest business practices, and superior customer service. Call us today and tell us about your iron fencing needs in Coronado. B.A. 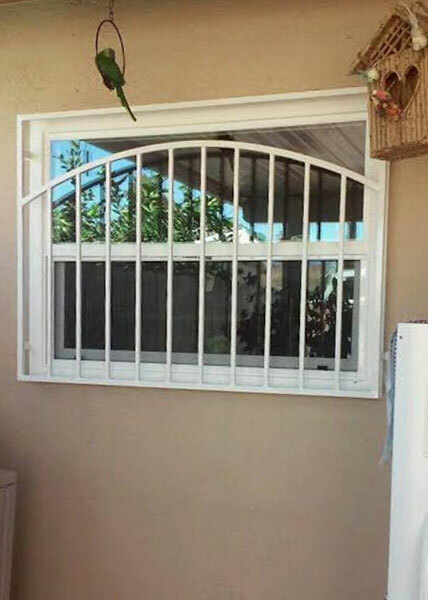 Ramirez & Sons Ornamental Iron Works, Inc. is your best choice for iron security window guards and doors in Coronado. That's because we prioritize the needs of our residential and commercial customers at all times. We can make everything from iron window bars to protect homes and businesses from burglars, to iron security doors or enclosures that improves security without sacrificing style. Depending upon your aesthetic preferences and budget, your new, custom-made iron window guard, enclosure, or door can be economically or essentially a work of art. We offer liquid epoxy finishes with custom color matching capabilities, powder coat finishes in 100s of colors, galvanization, metallization, decorative casted designs, and hand-forged pickets, spears, scrolls, and frames that can feature a hammered or smooth look. All window guards come with a code-approved fire release, and our doors and enclosures can be installed with intercoms or telephone systems that require access authorization via a landline or smartphone. Learn more about our iron security doors, gates, enclosures, and window guards for Coronado properties by calling us today. W1 During this residential window guard installation in Coronado, CA, our client presented us with a sketch of the style of window guard they wanted. We used 3/4" steel tube for the frame and 1/2" square tube for the pickets. The unique look was accomplished by adding arched horizontal below the upper frame. The window guard was coated with zinc primer and a powder coat white finish. D12 This steel modern entry gate in Coronado, CA was installed at the entrance to a commercial building's courtyard. At B.A. Ramirez, our skilled team has the ability to build a custom gate to meet your needs. G37 This arched gate installed in Coronado Ca is at the front entrance to the home. The European style with ring and knuckle designs is coated with a powder coat paint finish.